Telling young people what Industry 4.0 is, defining with them the skills necessary to face this phase of change, stimulating them to understand their strengths and weaknesses in order to improve their employability. These are some of the main themes with which Ares 2.0 has chosen to characterize its training program, within the eighth edition of the Rodacciai Academy, the training project aimed at young people interested in entering the production departments in the metalworking sector, organized by Rodacciai SpA, a company of excellence in the production of special steels, in partnership with the temporary agency Randstad, the second world operator in human resources. 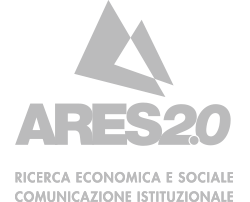 The training course – about 160 hours – to which the teachers of Ares 2.0 have offered their contribution, will allow boys and girls without employment strongly motivated to the prospect of a professional career in the metalworking field to acquire the necessary technical skills, but also knowledge on the current labor market, thanks to an orientation phase that will highlight the importance of “soft” skills in every type of career. 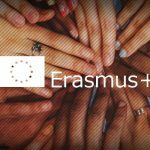 In particular, Ares 2.0 has designed and implemented the training program on the 4.0 industry, which took place on Wednesday 3 October, creating a training module focused mainly on the professional skills that young people must have when they enter the world of work in a 4.0 perspective. This is an 8-hour training program, characterized by an innovative teaching approach based on experiential learning through role-playing games, individual exercises, videos and brainstormig, which have acted as a form of more frontal teaching. The young people involved were called to self-assess their professional skills and attitudes and to compare them with those required by the market.